North, Central, and South America. 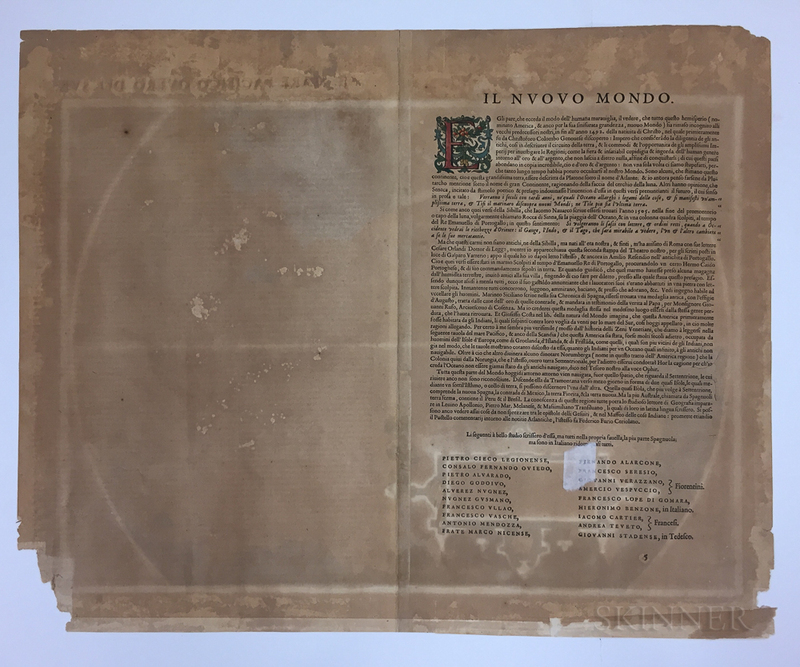 Abraham Ortelius (1527-1598) Americae Sive Novi Orbis, Nova Descriptio. North, Central, and South America. Abraham Ortelius (1527-1598) Americae Sive Novi Orbis, Nova Descriptio. North, Central, and South America. 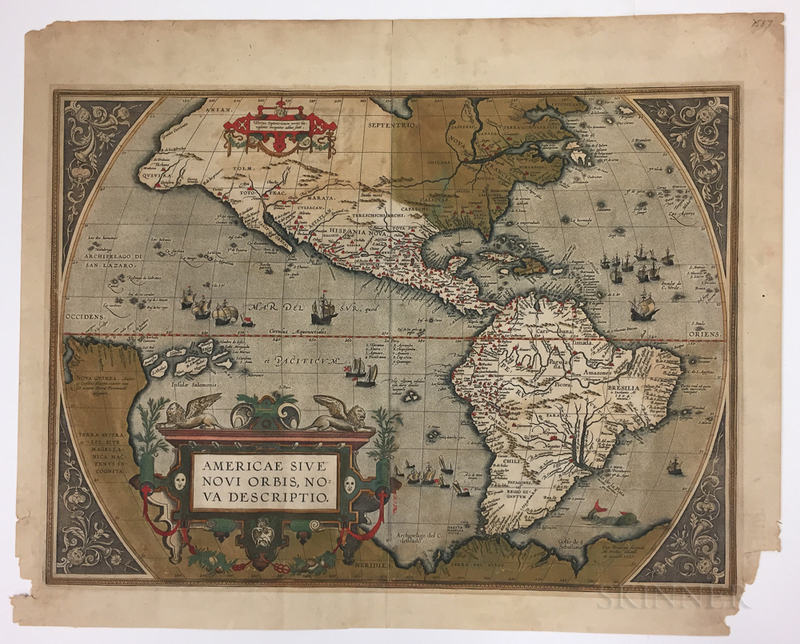 Abraham Ortelius (1527-1598) Americae Sive Novi Orbis, Nova Descriptio. Antwerp: Ortelius, [late 16th century]. Double-page folio map, copper-plate engraving on laid paper, hand-colored, later state, with the large bulge in the lower northwestern portion of South American and the place name Wingandekoa at Chesapeake Bay added, along with the cartouche over North America, text on verso in Italian, older color, damage to corners, softness to paper, small tear to cartouche (repaired on verso), 21 1/4 x 17 in.